I’ve slept on airport floors or at friends’ houses close to the airport more times than I can count. It’s hardly romantic, but I prefer to use public transport to the terminal and I like to be early..! Even when I come off the mountain, I’m washed, shaved and in clean clothes. People will make assumptions of you – good or bad within the first few seconds, so why not make good ones..? I’ve been upgraded a couple of times into Business Class because of my manner and cleanliness. Being lazy and thinking ‘it will never happen to me’ has caught many people out. I just wonder if the same people bother to insure their house and car..? Why should you? There will be lots of people at the airport to help book transport, hotels and tours – won’t there..? Well, that depends on the time of day you arrive and how much you want to be ripped off. Airport taxis are some of the worse and will charge what they like. Usually a coach goes from the airport to town for a fraction of the price and you rarely have to wait long. Many destinations have train stations in the airport, which makes the journey even better. ‘I can’t possibly take anything out, I need everything!’ I’ve heard this one a few times in my life. 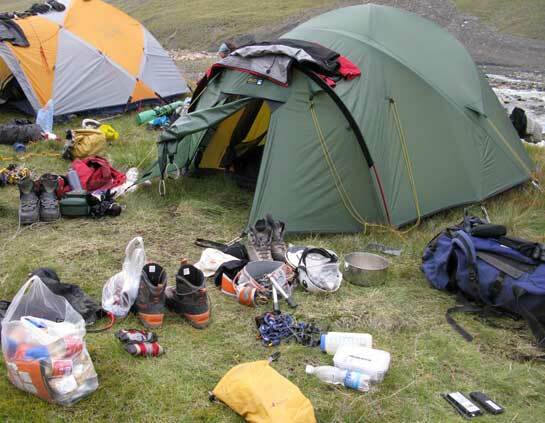 I’ve also seen hair straighteners in the mountains, 15 changes of clothes in the jungle, tins of food (Ok, I did once take a tinned meat pie into the mountains of Ladakh) and reams of gadgets which just clutter up the world. Every airline has it’s weights (check before you fly) and they tend to be picky – particularly the budget ones. At times, I’ve been overweight due to climbing gear on a big trip, but I appreciate that. If it goes through, that’s ok, but if I have to pay, I have to pay. What gets me are huge bags for a beach trip being dragged across an airport floor and crashing down on the scales. It was 6am and I was flying on a business trip to Edinburgh. There I was , suited up and with my laptop bag over my shoulder, when I was confronted by a frightening sight. A couple in their 30’s were screaming abuse and obscenities at their children across the departure lounge. Both of them were drunk (and still drinking heavily). The only way I can describe them was as a pair of Chavs, off to the Mediterranean with their family. I have no idea if they were allowed on the flight, or made their destination, but I was glad to be going the other way. There are plenty of bugs, mosquitos and waterborne nasty’s just aching to give you a bad day when you visit many parts of the world. Inoculations may seem long winded, painful and at times expensive, but do you want yellow fever or malaria..? Insurance will help sort you out medically afterwards (see 4 above), but prevention is better than cure. Of course, all the jabs and tablets in the world will not prevent you dancing the ‘Kathmandu Quickstep’, but they will help bring you home in one piece. A school local to myself planned a trip into Africa recently. As I was getting a booster for a trip into Brazil, the nurse noted that though they were getting inoculated, their timescales were short and the numbers required were huge. Plan in advance people..! Every airport has signs stating what you can’t carry as hand baggage – liquids, knifes, razors etc., so why when I clear customs do I see a fortune in Swiss Army Knives dropped into glass cabinets, bottles of shampoo and hand cream everywhere and water all over the place? I do agree that every airport seems to have its own ideas when it comes to defining a ‘Clear plastic bag’, but once again it’s down to planning people. Of course it does depend where you are. Once in Irian Jaya I was asked if I had any guns on me and the sign on the desk forbade hand grenades..! We British are very lazy when it comes to languages. We feel that we have the right to expect everyone else to learn and not us. Some feel that shouting helps (see 2 above), but it doesn’t. Knowing just a few words and phrases of your destinations tongue will make a huge difference to your experience abroad. I have to admit that I struggle to learn new languages, but know a little Spanish, Portuguese, French and German and get by. I have had incredible evenings on expedition enhancing my language skills and have made great friends out of it. Take a phrasebook, drive to work with a course on CD playing in your car, get your family involved. It will all make a difference when you travel.